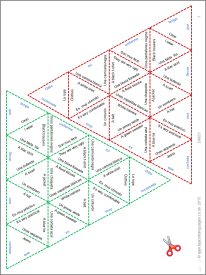 Cut out the triangle puzzle and challenge students to match the Spanish and English phrases correctly. A complete sentence about school uniform will appear around the edge! Project the solution on the second PowerPoint slide.